This is another of the "Gems" from the Stephen Gonsalves' collection. It's a Pacific System Homes multi-lam, redwood and pine plank model, circa late 1930s. It's 9'4" and 50 lbs, the redwood is chambered. It looks like a simple plank of wood but this baby can radically surf the sea. 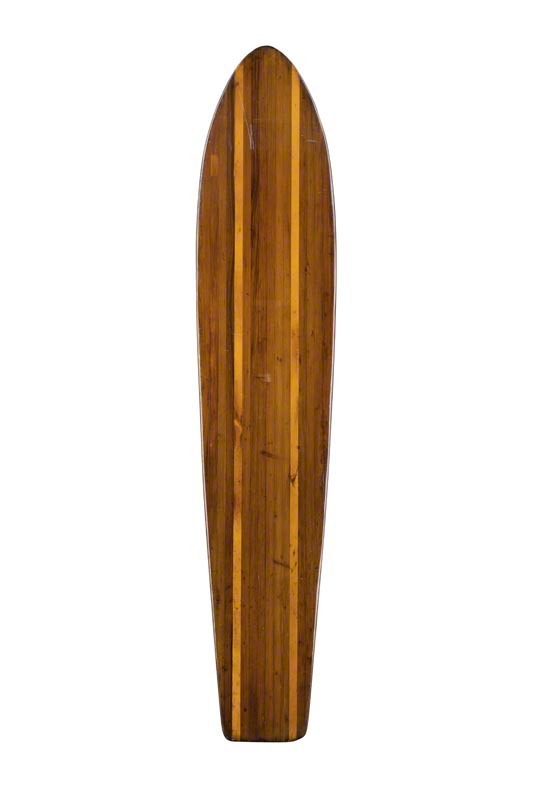 I've got to see this epic surf board. I remember this gorgeous Manila real estate home we lived in last month. It is situated by the bay and we could see a clear picture of the sunset.